For a chance to win a set containing a Backpack, a Daypack, an Original Baggu, and a black M Leather pouch from Baggu, leave a comment with what unexpected thing you have in your bag before midnight PST on Dec 25th, 2011 and we’ll notify the winner by email! I have somebody else’s sketchbook in my bag. Pins, Candies, a mini parfume & an extra packet of biscuits fr the street ppl…. A 3 1/2 in floppy disk. Emergency chocolate. Every girl should carry some. They can change a crap day into something lovely. Fruit! My father was hypoglycemic, so we all learned to carry food, just in case. This time of year, it’s clementines. 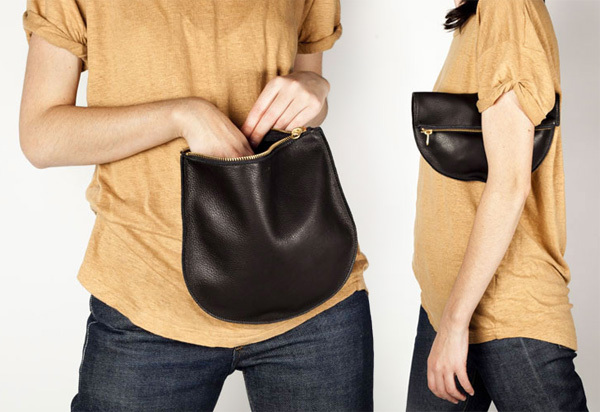 These are some cute bags! :) Unexpected thing I have in my bag? hahaha….a pair of toddler’s underpants. My little girl is on potty train now and that really helps reminding her (and me) she needs to let me know whenever she needs to go. A particular charger for any kind of device: it works through solar energy. Be sustainable, switch to renewable sources! a box with 365 handwritten messages of love, funny memories, and affirmations for my grandma for 2012! A Cloth flower pin my friend in Hongkong got me for my birthday. I have a Naked Bee sunblock stick. Unexpected since it’s now winter in Montreal! Toilet cleansing wipes. In case I need to use a public restroom. I moved 6 brand new chicks and their mother hen in a baggu. It worked perfectly! A small cockroach fossilized in resin. I’ve got a Dungeons and Dragons Core Rule book in my leather Fossil purse. I’m a 5’5” Homecoming Queen. i actually have a hot pink baggu bag that i got as a gift my my bag. i actually have a hot pink baggu bag in my bag. two miniature wooden pegs attached to each other in the shape of a spaceship. my friendship spaceship. 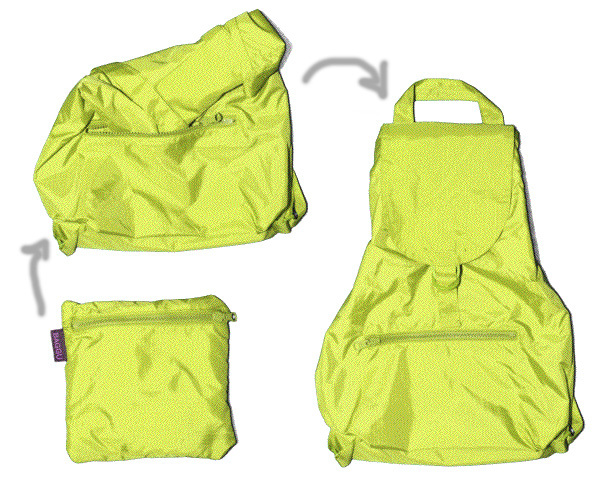 A baggu inside of a baggu, and a sharpie. i always have an extra pair of socks. they’ve come in handy so many times! I keep another bag in my bag! 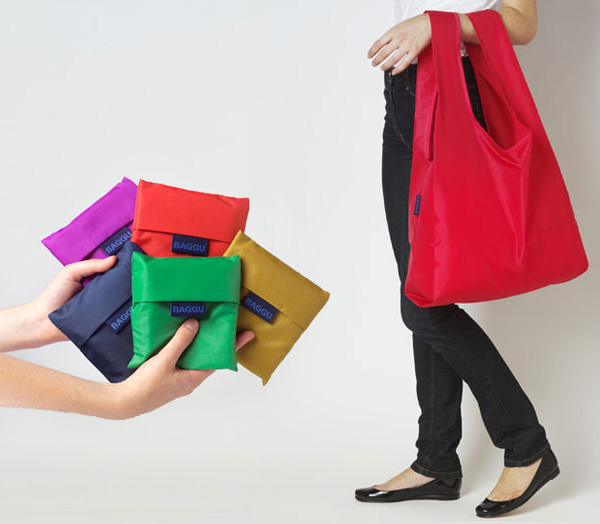 A foldable reusable bag - you never know when you might need it! My handy ear filters.. you never know when things may get a little loud! My ukuelele! His name is Thom and he goes with me just about everywhere. A Hot Dog on a Stick punch card I last used…oh, 6 or 7 years ago. A deck of uno cards. Rubber bouncy ball that looks like an eye ball. 100 coupons for 75c off salad. I have a Warmachine Satyxis raider sea witch, unassembled and un-painted, in my purse! a tissue microarray (TMA) of human pediatric medulloblastoma (that’s a type of childhood brain tumor) samples from a Russian study cohort. Unfortunity a money clip without an money in it. I always have a snack with me - at the moment, it’s roasted & salted sunflower seed kernels. Always a pen and notebook (I’m a writer). Current random occupants of my purse: glass jar, one mitten, toothbrush but no toothpaste, and my personal favorite - a disposable camera with one image left to take that I have been saving for the perfect moment for at least 4 months. I have at least 3 different multitools and a pig shaped lighter. Used to keep floss in there too, it is WAY more useful than you might think. UFO solar balloon (rises when you put it out in the sun, like magic!) — thank you, parents, for bizarre gifts! I found a diaper in my bag…but my youngest is 21.so, is someone trying to tell me something? Box of paperclips. never know when you need to clip paper. A paleo pack-in case I get hit with the caveman munchies. A lint roller. I’m a clean freak. I found 4 Chapsticks in my bag one time…shows how prepared I am! What i have right now is about 100 of those little metal things you stick ski passes to…. Don’t ask..
2 Baggus so I’m always prepared and a couple of reusable produce bags, too. A teddy bear. A small one, but still fluffy. And a bit dusty. But still fluffy. And lovely. A fork. No, actually a spork. My “emergency pocket” contains earplugs and a can opener, among other items. A stag beetle and also a chick-o-stick for emergencies. That little tool that lets you pop out SIM cards from iPhones…. I have dental floss with me all the time. Food stuck in your teeth is one of the worst feeling in the world for me! My collection of fortune cookie sayings. That would have to be penguin stickers. A pair of 3D glasses and a tea bag! My dignity in tact after 5 bourbons. Ever since I took a CPR class two months ago, it would be a Worldpoint Practi-valve. Ledercort and Nutella on the Go! A fruit knife. It’s from Japan, and it’s really sharp, but it handles apples really well. I happen to have in my bag, a lovely pink stun gun that my mother bought me. She worries a lot. Right now: a ghost[hidden], one cocoa bean, 3 bags of tea, small sketchbook one, small sketchbook two, hohner harmonica, 2-3 small toy cars, scooter handlebar, pine needles, 3 lists of things TO DO, squeezable yogurt + the usual….baggage. Baggu pouches without Baggus!Helped a friend move and she is still unpacking. There’s a dried squid tentacle at the bottom of my bag. I’ll eat it, as soon as I de-dust it with my keyboard cleaner. Small toy wallet that I got as a joke from a little tourist shop in Branson Missouri, like 4 months ago. packets of chilli sauce, and crumpled old receipts from weird, foreign countries. A string of LED christmas lights and a laminated mini periodic table! A book! Call me crazy but I always, always cary one with me. Even when going out at night, you never know when you encounter an oportunity to read something. Right now it is a copy of ‘A small history of nearly everything’ and its one I would recommand highly. Great insights in how the world around us works. work. i carry a large bag, and am somewhat of a nerd. I always carry a Tide stain stick in my bag. I’ve been known to stain my clothes! A mini architect’s scale. You never know when you’ll need it! DayQuil and a Baggu. Never know when I feel a cold or a shopping spree coming on! My planner, sunglasses (always) & way too many chapstick/lipgloss/lipsticks. I keep putting them in but never take them back out! lots of baby feeding spoons… they all just fall to the bottom and get stuck in there. I have a toothbrush and toothpaste,tweezers,a needle for splinters,and a screwdriver,and flashlight. Turns out I have one sock and that movie ticket that I thought I lost which costed me Harry potter! Hmm, right now I have an amaryllis bulb. 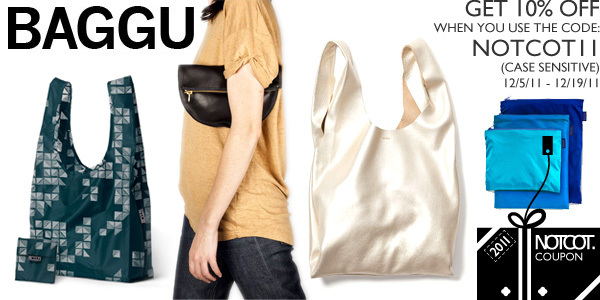 Loooove me some Baggu! A bakugan toy….that would be my son’s. When out and about, its always good to have a toy for the little one. One unicorn horn (no unicorns were harmed). i always carry tylenol with me, but that doesn’t mean i’m popping pills every few hours! A small balloon pump with extra balloons. Whenever I see my baby cousins, I usually make balloon animals to entertain them and they love it! 6 yuan from a trip to china that I went on 2 years ago… I actually got very sick on that trip and was in the hospital for more than a week, but I still like having that yuan in my bag as a reminder of my experience! I found a tablet still in blister packet cut out from the rest…I have no idea how old it is or what it is. Peppermint tea and reindeer slipper socks - always prepared to be cozy! A ‘Crush’ from Finding Nemo turtle keychain, given to me from my best friend who I affectionately call my turtle. A stress ball that’s an army guy’s head. What what unexpected thing you have in your bag? In my bag there is Bill, the lizard. Unexpected thing? Mini Vinturi travel wine aerator. I left it in my bag once, and it was extremely useful when a friend came by with a bottle. Ever since, I’ve been carrying it wherever I go. You never know when the urge to wine will strike! I always have little trucks and/or action figures (I have an 20 month old son.) My co-workers laugh every time one falls out! Uhmm, let’s see.. oh this is fun: A corkscrew :D always be prepared! let’s see…some floss…and… .. Bilbo Baggins! WTH?! A $5 bill from Grenada & a bunch of fortune cookie fortunes. Some French Polynesian coins, two chapsticks and a lip gloss, and a few sugar in the raw packets. I always have an egg of silly putty in my bag! Bandaids in several shapes and sizes - comes in handy when someone is in need of a little fix-‘em-up. I have a pacifier in my bag—and my daughter has definitely outgrown them! Bus tokens for the Los Angeles MTA. I live in Vancouver. a screwdriver. at least one, at all times. my favorite wireless mouse… because you never know. Socks. You never know when you’re gonna need an extra pair of socks. Also, reusable chopsticks - handy and eco-friendly! Thank you, I had been wondering where those went. I’ve a hat that looks like a red velvet cupcake. I work in a cupcake shop so I tend to gravitate towards most things cupcake-shaped. Aside from 3 books and a nook? A deck of zombie fluxx and a bag of zombie dice. I have an air pump with a needle? i always carry a tape measure with me! my red berry fruits scented candle! headlamp…. never be left in the dark. 4 USB drives….. a bit excessive, i really should put them away. another bag in case I need more space. a bag within a bag; BAGCEPTION! i just found water balloons in there. it’s december. in chicago. I always carry around a multi-tool, it’s come in handy a million times. First of all, reading all these comments were both entertaining, and also gave me some great ideas. In my bag, always - a knife, earplugs, chocolate, shea butter, red lipstick, rescue remedy, tea, almonds, & incense. I always have knitting needles and some yarn. Never a dull moment! I always carry flashcards for my students! I´m teaching english at a spanish primary school! Dental tools, which are surprisingly useful in a variety of unanticipated ways. a vintage Oscar de La Renta 100% silk top that I bought at the thrift-store for 1 dollar! A very big lollipop which was a present from a friend. A Tibetan Phantom Quartz crystal. a tiny stuffed anteater covered in spilled blush. I keep a flashlight in my purse for safety purpose. everything. somehow i never carry what i’m expecting to find in there. I carry essential oils and incense in my bag all the time. I actually carry a pencil case with everything from a stapler, tape, pens, highlighter, pencils, x-acto knife, and etc :) Gots to be prepared anywhere! Thank you NOTCOT for this opportunity! One or more lids for sippy cups. Never any cups. Just lids. I carry around a slip of paper from last New Year’s Eve that reminds me of the three things that I am most grateful for. A 50ml Baileys Mini; my 4pm snack. A hobo nickel. It’s good luck. Insulin, glucometer, candy bar , epi pen and bad genes. 1 sachet of instant milk tea. A tape measure- it comes in handy more times than you’d think! Well, having money is unexpected (at least for me), but more unexpected would be a votive candle (leather scented). Sometimes I just need a good sniff of it, you know? Christmas cards waiting to be addressed and sent. A free gift coupon to a local antique store. more lazy than unexpected - empty pack of gum and many crumpled receipts. Small bags of loose leaf tea. Can’t LIVE with the thought of not having a good cup of tea anytime of the day. My tax returns from 2007 and 2008. I keep taking them to work and forgetting to shred them. A pocket Brazilian Portuguese dictionary. Old trash. Gnarly, sticky, stinky, moldy old trash. But this was in 7th grade. The receipt to the bag itself just because I love the way it has yellowed over the years. Floss… in a credit card shaped holder. It always fits! A cast sterling silver LEGO man. I cast the little guy a while back, and while he didn’t quite cast correctly (he looks a little like a ‘LEGO man of Willendorf’, I can’t bring myself to remelt him. At one point or another I stuffed him in my bag, and he’s just kind of been hanging out in there ever since. a computer keyboard. I’m a germaphob and I can’t stand touching public keboards because they are so dirty. Yuck. A roll of masking tape and pair of needle-nose vice-grips….and this is my purse, not a tool box! A 1.0m piece of 4mm paracord, just in case a Scout asks how to tie a Sheepshank. In my big blue Ikea bag? Old clothes and sand paper. My re-usable Roundy’s bag? Wire mesh and spray paint. My purse? A bottle of wine and a rotary cutter. On the bus to a Naked Lady/Craft party for some last minute gift creation, clothes swapping and Holiday cheer! I always carry with me a fold-up water bowl for my Boxer Karmin! 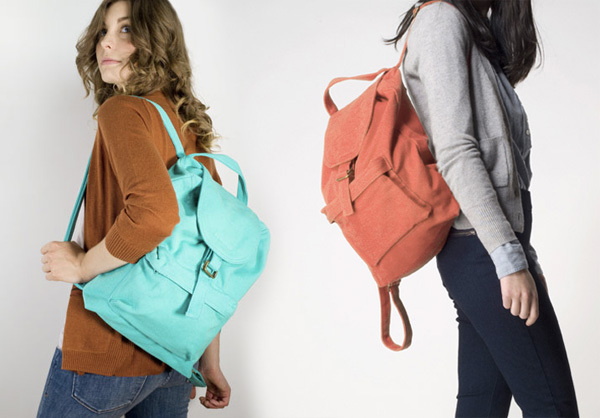 I love these bags! One unexpected thing I have in my bag is some of my puppy Sailor’s teeth that he recently lost ‘cause his big ones are coming in now! A mini bottle of listerine! Ha ha, it was in my bag when I went to the last stop of Jay-Z and Kanye’s tour … they guards asked me what it was and I apologized and said that they could take it if they like. Laughter and a “No thanks, we believe you” insued. Cough drops and Japanese eye drops? A little bag of cloves from a catering gig i worked at a synagogue. Keeps my purse smelling fresh! I HAD FORGOTTEN I BROUGHT MY FRIEND COLD REMEDIE FOODS/DRINKS A FEW WEEKS AGO. UNTIL ONE DAY I FOUND A BIG BOTTLE OF HONEY AND REMEMBERED. The most unexpected thing in my bag are knitting needle point protectors. A Leatherman Surge - it’s a million tools in one! a giant jar of homemade kimchi my mother made for my birthday! A coupon for free fish and chips - I’m allergic to fish. A harmonica (the only way to survive LA traffic with your sanity!). I have a whittling knife and a block of wood in my purse for when I am bored. A screwdriver, can’t remember what I had to fix in my car a while back and now its permanently lives in my bag. olfa utility knife and extra blades! a beirut ticket and a retainer. A copy of the Constitution! I always have a book in my bag! Right now, it’s The Tiger’s Wife. 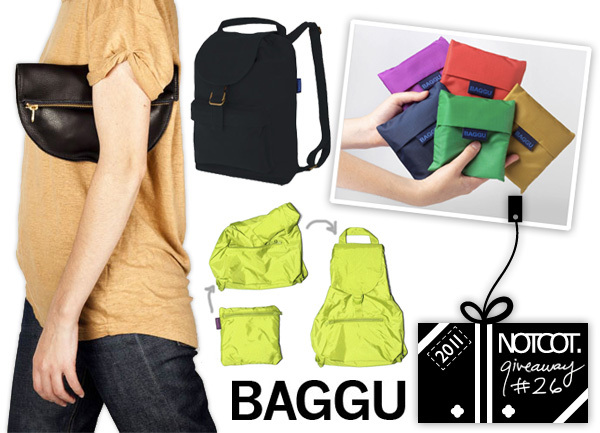 Get Baggu deals at http://ronscoupons.com/baggu-coupons/. The most unusual thing in my purse right now (since I’m carrying a smaller purse nowadays) is a nearly full toiletry kit. I have nearly everything…except deodorant. The New York Times Sunday Crossword and Miss Piggy Pez dispensor. Sticky notes so I can flag important points in whatever I happen to be reading. Pepper spray. A girl has to be prepared! I carry pins that we had made for our wedding in my bag. A jar of raw honey. I don’t like the pasteurized versions you find in coffee and tea shops so I always have a jar stashed away for a hot cup on the go. Today: a spray can of cooking oil. Money. Since I’m usually broke. In my bag?? Something unexpexted? An unexpected thing I keep in my bag is Ty Fortune the Beanie Baby to remind me to feed the pandas in the morning when I arrive for work. a taser. what can i say, i live in la. The Monster That Ate Stars, a mini book by Souther Salazar. Always puts a smile on my face! a sample of antique wallpaper from the 20s… gotta love working on period films! Several pairs of fingernail clippers! Right now I have an extension cord to take home so I can plug in some more Christmas lights to decorate my apartment! Gum is usually pretty standard in a purse, but I hate the thought of being without a piece when I really need it. Also, I can’t say no when someone asks for a piece—even if it is my last. Now, I’m prepared. I always keep chopsticks. one time I bought sushi for lunch and forgot the chopsticks. never again. chopsticks. Post last night’s work holiday party, this morning you would find a casserole dish, flask, and a tennis ball among the items stuffed in the bottomless pit that is my bag. A T-rex! Aka my plastic toy dinosaur. He is the guardian of my purse. I bring him everywhere. His name is Galbratrar. a holographic guitar pic with a terrifying alien face on it! A flask of Eagle Rare bourbon. Never know when I’ll need it to keep warm. Plus I make a lot of new friends with it. I have a good old fashioned seamstress tape measure. Who wants to wait in line for the dressing room!? Multiple additional pouches hand-sewn by me. Half a dozen local satsumas. The perfect snack for on the go. A scalpel, not for a surgery but for cutting paper. tape leash for my dog:) its just happened so that I forgot to leave it at home today. Some origami paper in case I get bored…. A few whistles..no money for a taser! Back up ChapStick, and emergency cookies. A travel-sized cribbage board and cards. free french fries coupon and vinyl stickers from a sushi restaurant! 10 different coasters and a map of Bruges, Belgium. I keep hand warmers in my bag for the Canadian weather. Currently I have a bottle of Peychaud’s bitters randomly in my giant purse. A small roll of duct tape. Dental floss! Small but very important in times of need! A sunhat - for the sun and the unexpected drizzle. I always carry my sketchbook in my bag. Nicholas Cage, wearing a John Travolta mask. cocaine & condoms, sketchbook, headphones, change of shoes. I think the most unexpected thing I have in my bag is a handful of Turkish coins. Dental floss. Is that unusual enough? I currently have a bunch of 18-8 Ss Flat Undercut Head Phil Machine Screws 6-32 Thread in my bag, in assembly mode! I currently have a bottle of ranch dressing I brought in for lunch and forgot about in my purse. Thanks for the reminder! A little box of chocolate drink! Oh boy, it’d just made my quick breakfast for the day. I have mini bags in my bag (purse). Odd? Maybe, but I can’t stand an unorganized purse! I’m always on-the-go so having a neat purse is vital to my hectic lifestyle. At least three colors of Muji pens. You never know when you need to jot some ideas down! I have mini bags in my bag (purse). Silly? Maybe, but I can’t stand an unorganized purse! I’m always on-the-go so finding my things fast is key. Sleeping pills. I’m an insomniac and sometimes I forget to pack them when I travel, so I always keep a night’s worth on me. A miniature harmonica, in case of boredom! People are often surprised that I’ve got a flask in my bag, but they’re never sad about it. A few copies of my resume. …No, I guess that’s not particularly unexpected. Ooooo! I have a FN Herstal Tactical .45 pistol with a Trijicon miniature reflex amber dot sight on it! some kind of fresh fruit. today, a some clementines. Tea … I love coffee, but I also love a soothing tea, that lets me calm down, get in a great and relaxed mood…why not have it with you in your bag all time…there is hot water everywhere! i have a baggu for emergencies! Yeah, once I found $20 in my bag. What more can I ask for? Cold hard cash is awesome! And so are Baggu bags! A 15mm crescent wrench. And I am thankful that the person at Cleveland Airport security measured it twice and let me keep it even though it was 1/16” over the size for metal objects. Peanut butter cups and curry!